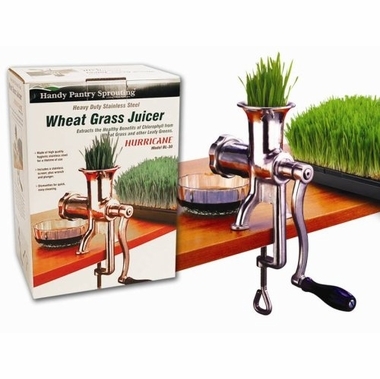 The Hurricane Wheatgrass Juicer stainless steel BL-30 is a manual wheatgrass juicer designed to yield highest quality wheatgrass juice efficiently and easily. Lightweight Juices Wheatgrass, Barleygrass etc. This stainless steel wheatgrass juicer has a molded auger and features a revolutionary design that completely eliminates the need for regulating screw on the tip. Light and easy to clean, the juicer produces very less foam and has a very rugged stainless-steel construction which will never rust and offers trouble free use for years. Hurricane wheatgrass juicer makes cleaning a breeze and it is absolutely easy to assemble and looks great on any kitchen's counter-top. This is our first manual juicer. We use it for everything - beets, carrots, apples - as well as wheat grass. It is well-made and sturdy, stainless steel throughout, except gasket, maybe bushings and protective foot covers. The effort required to juice beets, etc, is moderate. Our 6 year old can do it if he uses two hands. The juice is delightful. It helps to experiment and find the optimal size to precut pieces as this can increase the efficiency and ease of juicing. Received my Hurricane LB30 today and just juiced my first carrots and apples. Works like a charm to be a wheatgrass juicer. This is a decent piece of work and that will last a long time. Very happy with it! 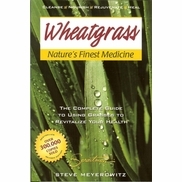 My first wheatgrass should be ready to harvest in a few days so it arrived in time as well. Great for when or if you have no electricity, but I wish I would have spent the extra money to get an electric juicier. This is quite difficult to turn by hand, produces small amount of juice at a time and gets VERY hot if you extract more than a little at a time. This juicer has changed my life! I love it!